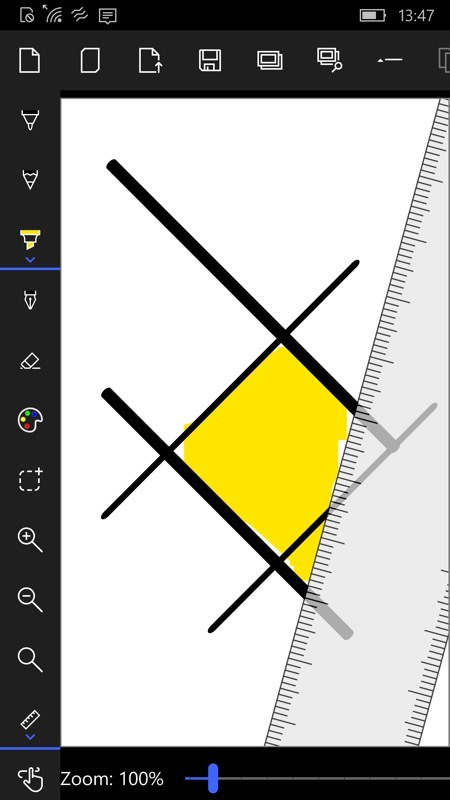 With Windows 10's Ink built into Mobile as well as Desktop (if not in first party applications), we're seeing more and more graphical apps from third parties include Ink features, such as restricting finger strokes along a ruler or around a protractor. SketchMaster UWP includes these, as well as other standard drawing tools in a comprehensive freehand painting and sketching app. Do whatever you want to do, draw whatever you want to draw. Here's the application in action on the phone - I wanted to do more screenshots, but I simply. Do. Not. Have. Any. Talent(!) You'll have to grab it yourself and I'm sure you'll produce sketches that are a lot more worthy of the code! The UI is based around two scrolling toolbars - at the top for file and undo/do operations, down the side for painting and Inking tools... 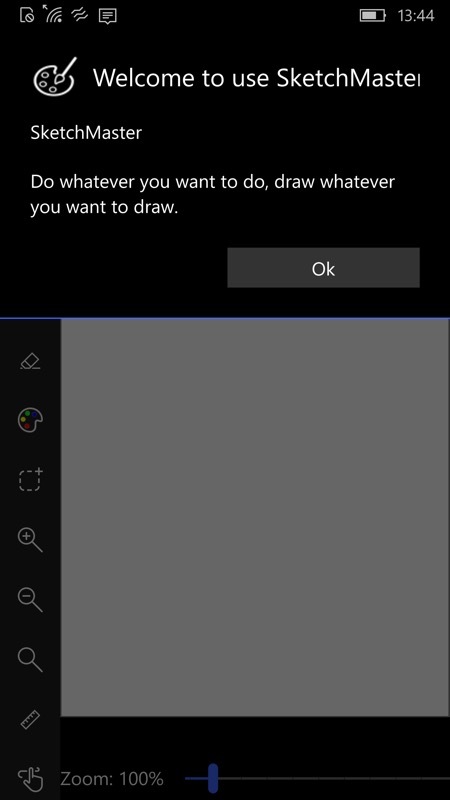 Note again that the Windows 10 Ink stuff is all built into Windows 10 Mobile but available here via APIs to third party developers. Of course, on the Surface Pro you can do a whole lot more, with the extra space, with extra control and with nearly all the toolbars fully visible. So here's SketchMaster UWP running in portrait mode on my Surface device. Again, zero artistic talent, but you'll get the gist of the UI! 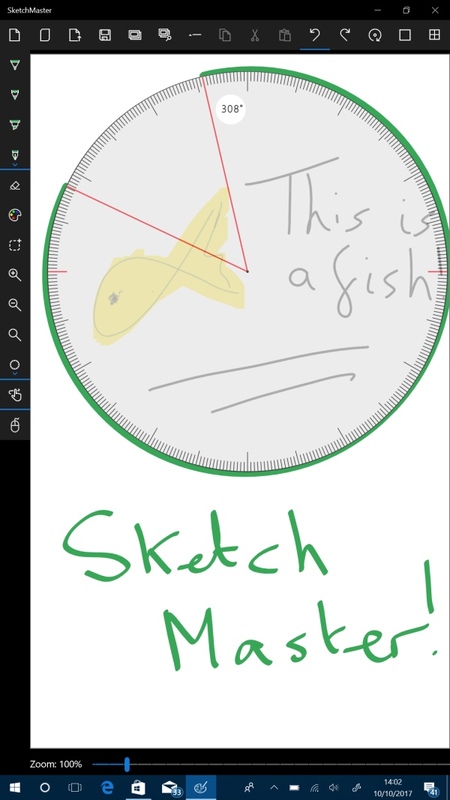 You can download SketchMaster UWP here in the Store, for Mobile, Desktop, whatever - it's free for the next 5 days, after that it's $2 etc.